It's amazing how much damage even the smallest pebble can do to a windshield. If the front window of your car, truck, SUV or whatever you drive has been awarded the purple heart, make sure it still gets the care it needs. 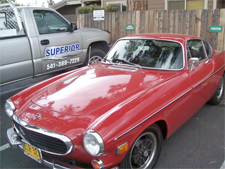 For expert rock chip repair in Bend contact Superior Auto Glass. We service Bend, Redmond, Prineville, Sisters, La Pine, Sunriver and other communities by providing friendly auto glass repair at your home or other location. Call us today at (541) 435-2601 to schedule an appointment for rock chip repair in central Oregon. Can all rock chips be repaired? Depending on the size and location of the chip on the windshield there is a good chance it can be repaired. Unfortunately large chips and cracks may require a complete windshield replacement. What is fortunate is that we work with insurance companies to help you get the cost of your rock chip repair or auto glass replacement covered! Depending on the severity of the chip we can repair rock chips in your windshield up to around the size of a quarter and cracks as long as three inches. However, because repairing rock chips and cracks can leave slight distortions in the glass it is important that they are not directly in the line of sight for the driver. If this is the case we may recommend a replacement. Cracks and rock chips along the outer edge of windshields are also more likely to spread quickly, so if you want to try to have them repaired before they spread, come see us soon! 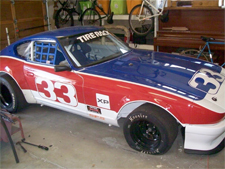 Why do I Need to Fix Rock Chips? Small chips and cracks will eventually grow and cause cracking throughout your windshield, making it unsafe and potentially illegal to operate your vehicle if the windshield is in bad enough condition. Fixing the cracks and rock chips will ensure that they don't spread and it saves you money over replacing the whole windshield. Many insurance companies will cover the cost of rock chip repair in Oregon! Don't let that chip spread! Give Superior Auto Glass a call today and we will come to you and fix your dinged up windshield. Give us a call at (541) 435-2601 to request a quote or schedule an appointment for auto glass replacement or windshield rock chip repair in Bend.